The two organizations are working together to help transform the future of healthcare for children in Haiti by providing Grace Children's Hospital with a desperately-needed biomedical repair technician equipped with the tools needed to repair and maintain life-saving equipment. "I am grateful to MediSend and International Child Care for this opportunity," says Stanley Poulard, MediSend technician trainee from Haiti. A partnership between MediSend and International Child Care will insure that children in Haiti will have access to quality medical care. Each year, International Child Care's Grace Children's Hospital in Port au Prince receives thousands of children who are suffering from TB, HIV and other diseases. On January 10, 2010 the earth under the hospital shook for forty seconds and aftershocks continued for weeks. 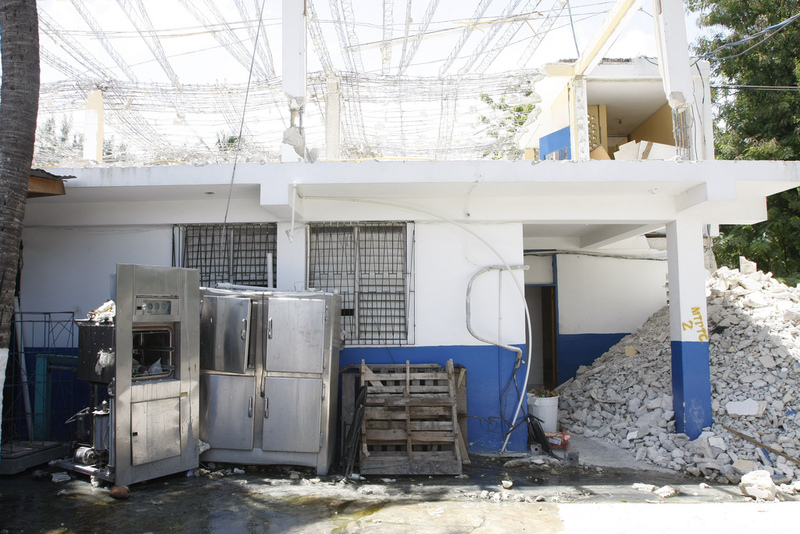 The hospital was severely damaged - almost destroyed. Miraculously, the Grace staff and volunteers pulled together so that the hospital has never missed a day serving patients, and thanks to the tireless efforts of International Child Care, the hospital is being rebuilt. However, like so many hospitals in developing countries, the medical equipment has had no one to repair or maintain it, until now. 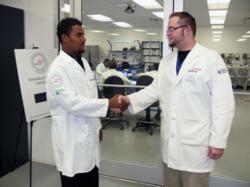 Stanley Poulard is a Haitian technician trainee currently attending MediSend's Biomedical Repair Training Program™. Poulard arrived at MediSend's Elisabeth Dahan Humanitarian Center in Dallas, Texas in January. He will return to his home in Port au Prince in June to develop a desperately needed biomedical equipment repair laboratory at Grace Children's Hospital. The hospital will also be equipped with a MediSend Mobile Biomedical Equipment Test and Repair Kit ™, the most comprehensive mobile lab of its kind, containing the tools and supplies Stanley will need to successfully support Grace's mission of healing Haitian children. "I am grateful to MediSend and International Child Care for this opportunity," says Poulard, formerly an auto mechanic in Haiti, "Grace Children's Hospital is a place that families know and trust. I am proud to be a future part of their work, thanks to my education at MediSend. I will return to Haiti knowing that my new skills and training will mean that families feel secure that their children can be healed." Since 2006 MediSend's intensive Biomedical Repair Training Program™ has returned BMET certified biomedical repair technicians to sixteen countries around the world. MediSend's unique model of education, training and equipping biomedical technicians means that thousands of children across Haiti will have access to reliable, quality health care. Child Care is a Christian health development organization. Operating in Haiti since 1967 and in the Dominican Republic since 1988, ICC is working to change the conditions of poverty that impact health and well-being.